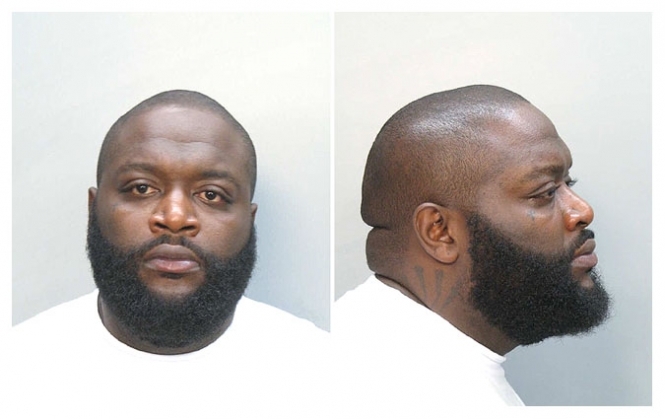 Rapper Rick Ross (real name: William Roberts) was arrested by Florida cops in January 2008 and charged with a felony for carrying a concealed gun and was also hit with a misdemeanor pot possession charge. Roberts, 32, was booked into a Miami lockup where he posed for the above mug shot. Submitted by GeorgeDubyaBush on Mon, 2011-05-09 22:22. Rick Ross spent half his adult life behind bars - AS A CORRECTIONAL OFFICER. What a wanna be. Submitted by silly pants on Tue, 2010-10-19 17:56.